KVS Recruitment 2016 Kvsangathan.nic.in For 6205 Principal, TGT,PGT & PRT Post. 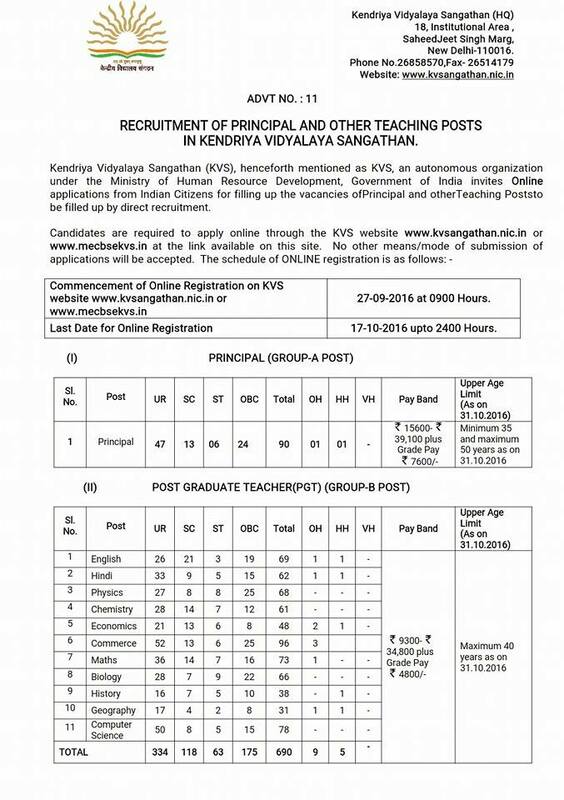 Kendriya Vidyalaya Sangathan (KVS) Has Published the Recruitment Notification for Principal, TGT,PGT & PRT Posts. 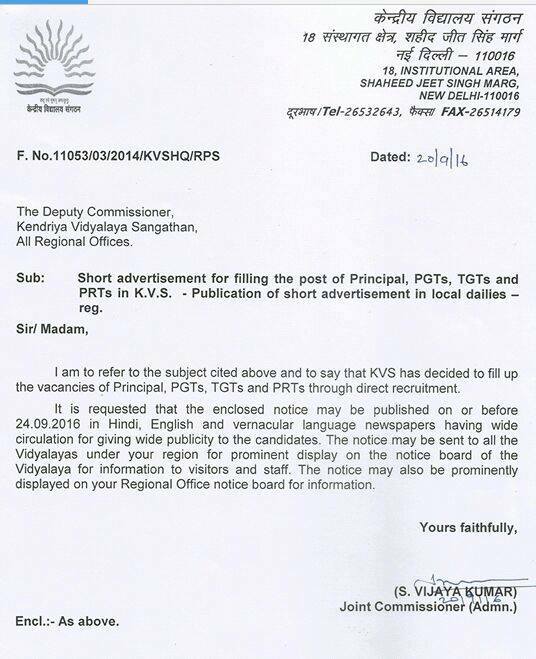 Eligible Interested Candidates Can Apply Via Online Mode. Last Date for Submitting Online Application form 17 October 2016. 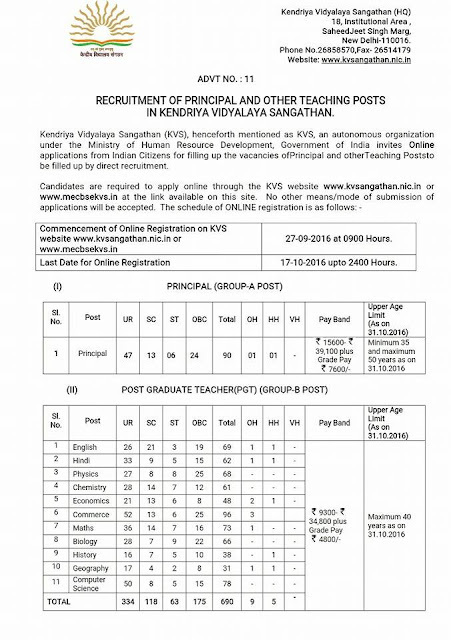 Kendriya Vidyalaya Sangathan (KVS) Recruitment 2016 For Principal, TGT,PGT & PRT Post. 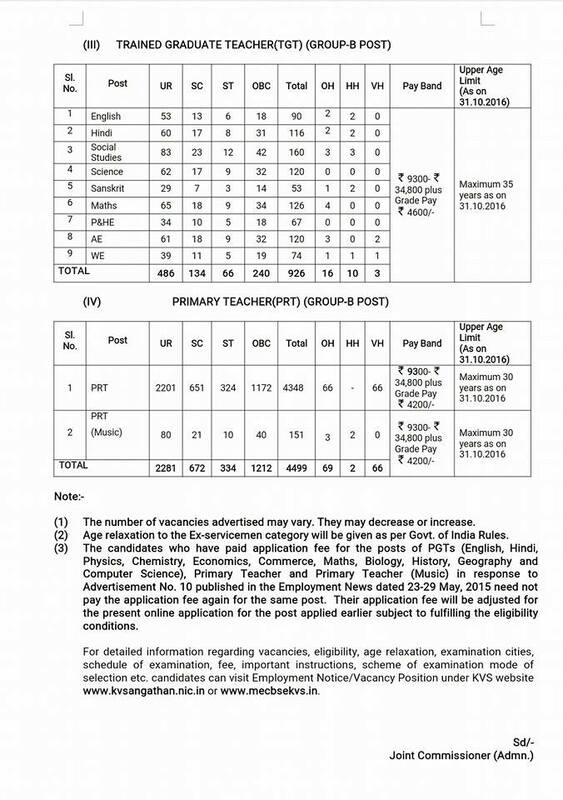 No of Vacancy- 6205 Posts. Educational Qualification- Candidates Must Have +2, D.EL.ED, B.ED, Graduation,PG Degree From Recognized University/Board.